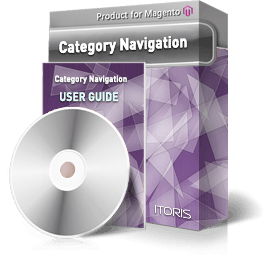 Show your categories and subcategories in menu sliders using the Category Navigation extension for Magento. Create professional menu sliders for category, product, CMS pages and any other URL. Add menu items with custom images and styles and link the items to categories, products, CMS pages or custom URLs. It’s vital for any online store to let your customers get familiar with your catalog items or current promotions. This extension allows creating beautiful and professional sliders that show your categories and subcategories in a sliding menu. Besides categories you can redirect the customers to your promotion pages or any other external URL. To attract more customers and make the sliders look more professional, this extension allows adding CSS styles for each slider. 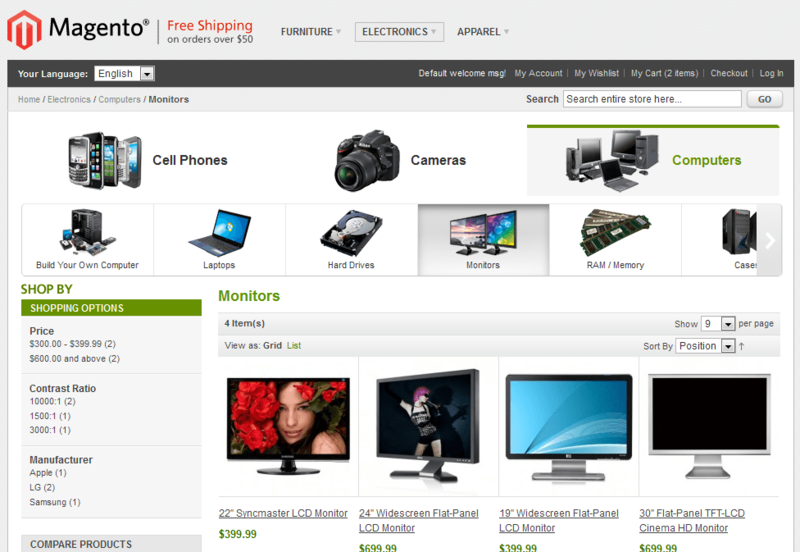 To make your visitors know more about the products, add the sliders to category, product, CMS pages or a custom URL. Moreover, you can link the menu items to the same areas in your store. Customize any information in the sliders using the built-in CSS editor. If the slider has a number of items, the navigation buttons appear as well. With the catalog navigation you can add the “Our Promotions” page or show all categories within the sliders on the “Support” or “Contact Us” pages to help the customers navigate faster. Link the menu items to any category, product, CMS page and custom URL. Furthermore, you can set the priority of the menu links, add images and titles. You can easily change the font, add colors or display the item in a different way. The built in CSS editor allows modifying the slider template to meet your specific needs.